D.C. Mayor Muriel Bowser appointed local chef and restaurateur Spike Mendelsohn, owner of a chain of hamburger restaurants, to chair the city's food policy council. Bowser made the announcement Thursday. 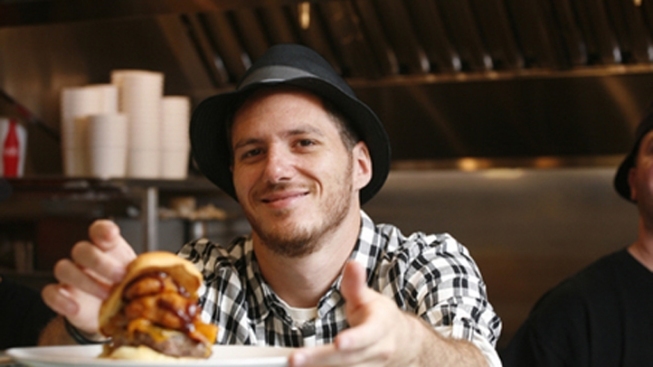 Mendelsohn owns the Good Stuff Eatery, a restaurant known for its fries, wedge salads, shakes and wide variety of hamburgers, including the Obama Burger. The president himself was spotted at the restaurant in 2011. Bowser said in a statement that Mendelsohn will help promote efforts to increase food equality and education across the city with the goal of promoting healthy lifestyles and combating obesity.